Taking pictures of groups of adults is bad enough but with little kids, it’s like herding cats. Fortunately in this case, between two of the images, everyone had acceptable smiles. 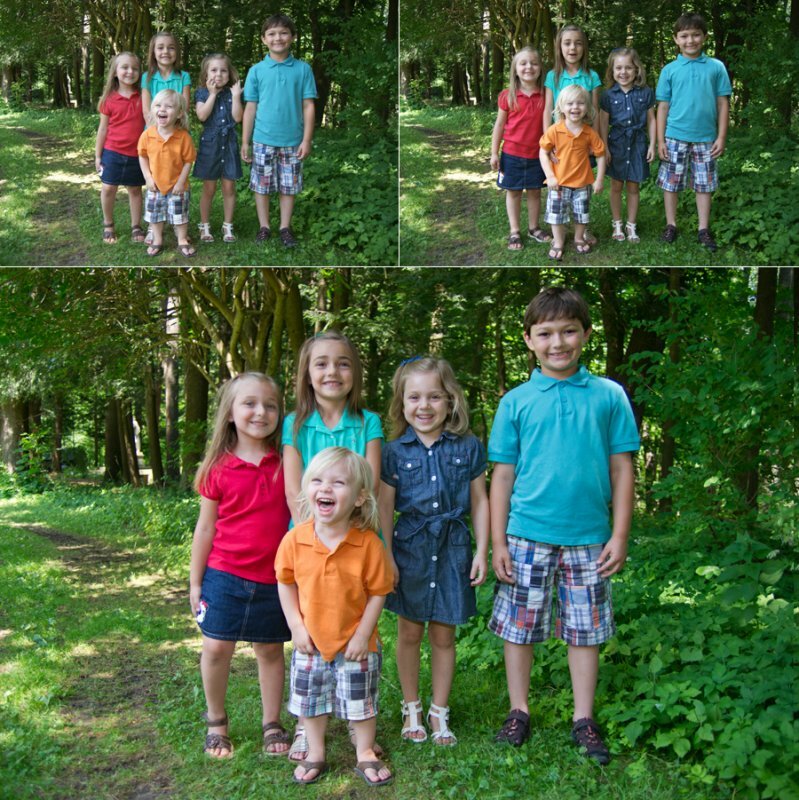 I was able to cut out the two on the right and paste them next to the three on the left to make a nice family picture.